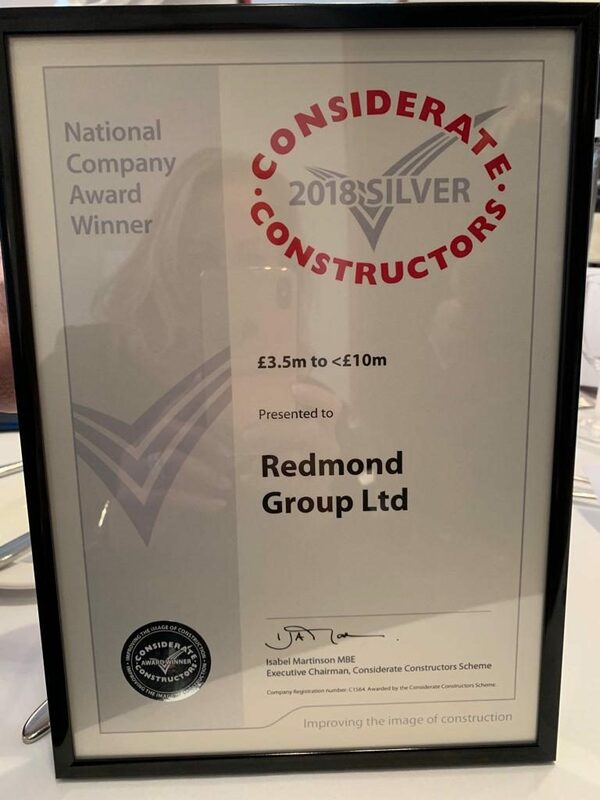 For the second year running Redmond Group have won a Silver National CCS Award – A fantastic achievement from all the team. 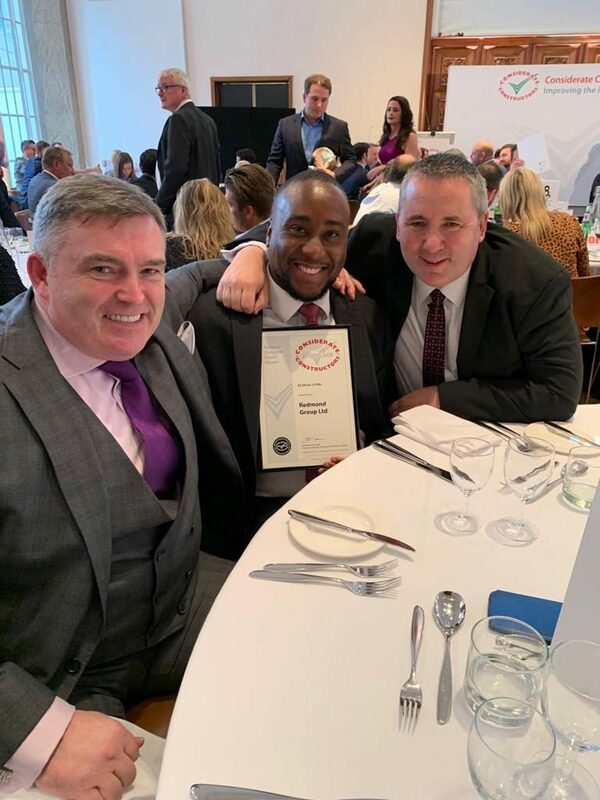 Managing Director, Stephen Redmond (left), with Commerical Director, Marc Tulloch (centre), and HSQE & Sustainability Director, Mick McCarthy (right). 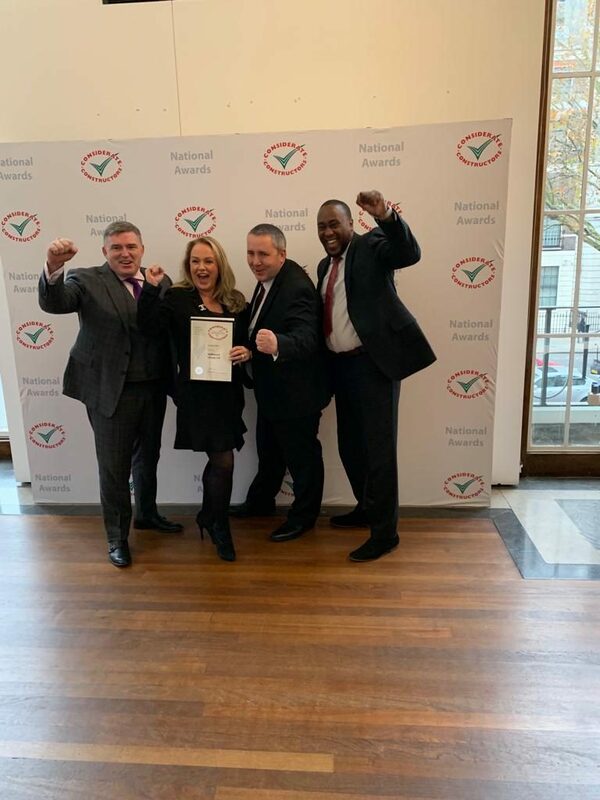 From left to right: Managing Director, Stephen Redmond, Company Director, Charmain Redmond, HSQE & Sustainability Director, Mick McCarthy, and Commerical Director, Marc Tulloch celebrate the award.